Crusaders Technologies India Pvt. Ltd., a pioneer in air purification solutions and devices in Indiasince 2004, has been facilitating to purify the air we breathe, with its state-of-the-art air purifiers. The company has recently launched two new varients bearing model nos. XJ-4001B and XJ-2900, to address the disastrous effects of Air Pollution on children and pregnant women. The Ever-Increasing Air Pollution in Indiais becoming a hazard, thereby leading to myriad health problems. Infants and pre-schoolers who are exposed to indoor air pollution for more than 80% time every day, have an increased risk of developing short term health implications like flu & allergies, and a lifelong increased risk of chronic respiratory and heart diseases. Which will hamper them as they grow up. In addition, they can suffer from psychiatric disorders as well as learning and developmental disabilities. The time between conception and birth is perhaps the most crucial and vulnerable life stages. In the Environment International Journal published recently, PM 2.5 was listed as the main factor that caused 2.7 million preterm births across 183 countries in 2010; 75 percent of which was from South and East Asia. And Indiaalone accounted for 1.1 million preterm births, which is seen as the root cause of death among children under five years old. “We have teamed up with the industry experts to provide highly customized Air Purification solutions. Crusaders Air Purifier XJ 4001B and XJ-2900 has been introduced to purify the quality of air to its maximum, substantially reducing the toxicity in the air,” he added. The Crusaders XJ-4001B Air Purifier is a trend setter in terms of both performance and technology. It features India’s first Air Purifier with Digital PM 2.5 Air Quality Indicator, with WiFi Control to monitor real-time air quality status and operate your device from anywhere in the world. A premium offering from Crusaders with a very strong Filtration Technology, apt for large homes (950 Sq Feet Area), the product is competitively priced at Rs. 38,000. On the other hand, the Crusaders Air Purification System XJ-2900 has been specially designed with a 7 Filter Technology. With an excellent level of air purification, the product is ideal for bedrooms or areas around 350 Sq Feet. It comes at an attractive price tag of Rs. 15,500. Crusaders Technologies’ products are designed to deliver fresh ionized air with filtration process dedicated towards providing solutions against dust, pollen allergens, smell, bacteria, viruses & toxic gases. 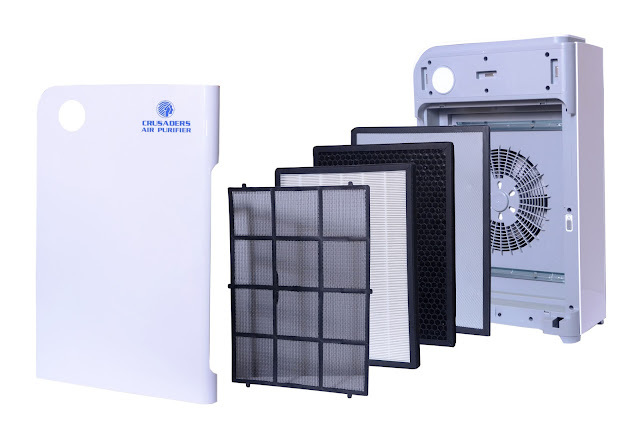 Its customized products as per the Indian Pollution Environment contains Washable Pre Filter & Electrostatic Filter, Strong Carbon Filter with HEPA filter and UV+TiO2 filters, which are exclusive to Crusaders. Contrary to popular misconception, Ionization is an age old concept known to help boost daytime energy and also help relieve illness. Ions are found in abundance in Hills & Forest Area or in the Parks early in the morning. The myth of Ions producing Ozone is being wrongly spread by some people with vested agendas. 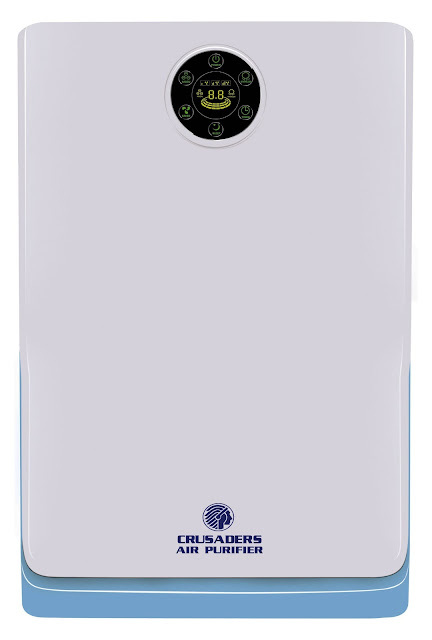 Crusaders Air Purifiers are available in all leading portals, i.e. Amazon, Flipkart and Snapdeal. The company is also expanding its pan-India dealer network and the product will soon be available in all major retail chains. Incorporated in 1991 and marked as one of the most distinct and pioneering names in Air Purifiers, Crusaders Technologies India Pvt Ltd is transforming the Indian Air Purifier market with its innate India-specific and future-focused strategy. Crusaders is the only company manufacturing air purifiers especially in accordance with the Indian Environmental conditions. The company has achieved the distinction of attaining CE, GS, UL, ETL, ROHS certificates for over twelve of its products, including ISO 9001:2000 Quality Assessment Certificate. By harnessing continuous remarkable innovation, user friendly designs, outstanding after sales service, Crusaders has earned an impeccable reputation amongst its customers, business partners and conglomerates alike. The Company already has an installation base of over 80,000 machines all over the country. Crusaders Air Purifiers are already adorning the Offices of Honorable President & Vice-President, Ministries of Health and Family Welfare, Youth affairs, Finance, Home Affairs, Offices of armed forces etc., Corporates such as Reliance, Shyam Telecom, SAIL, Jindal Steel and many more are all using our products over the years. Leading Hospitals have been using our Air Purifiers in their ICU’s, OT’s, Wards etc. since many years now.